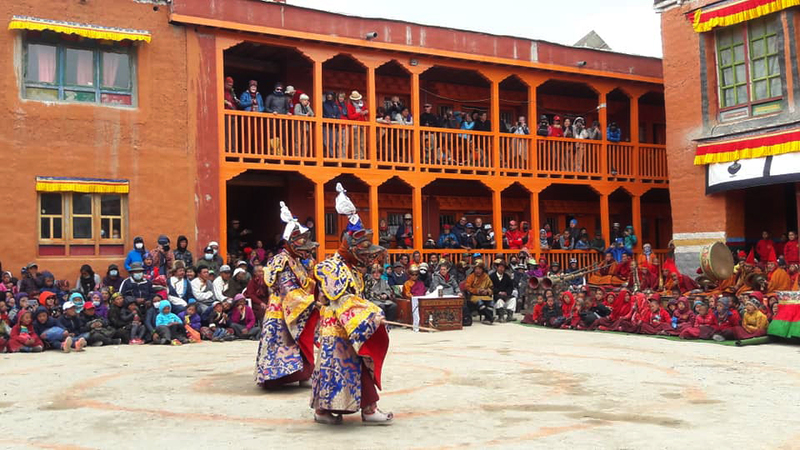 MUSTANG, May 13: Historic Tiji festival fever has gripped Lo Manthang in Upper Mustang. Celebrated by the local Gurung and Bista communities of upper Mustang since the 15th century, the three days festival is observed by exchanging love and greetings among the communities, wishing for world peace and no natural destruction. Various deities are worshipped on the very first day of the festival while the second and third days see presentation of cultural dances. This typical festival is associated with the belief in the reincarnation of Buddhist Lama Dorji Sunu. On the eve of the festival, a cleanliness programme has been conducted in the area on the joint initiatives of local mothers' group, youth clubs, Annapurna Area Conservation Project and other organisations contributing to social causes, according to State Assembly member Indradhara Bista.